I love cookbooks and working on them is the most enjoyable photographic assignment I can imagine. Where else can you devote several weeks to a topic and where else do you have the time to develop a visual language which is optimally tailored to the project? Moreover, cookbooks are made for eternity! 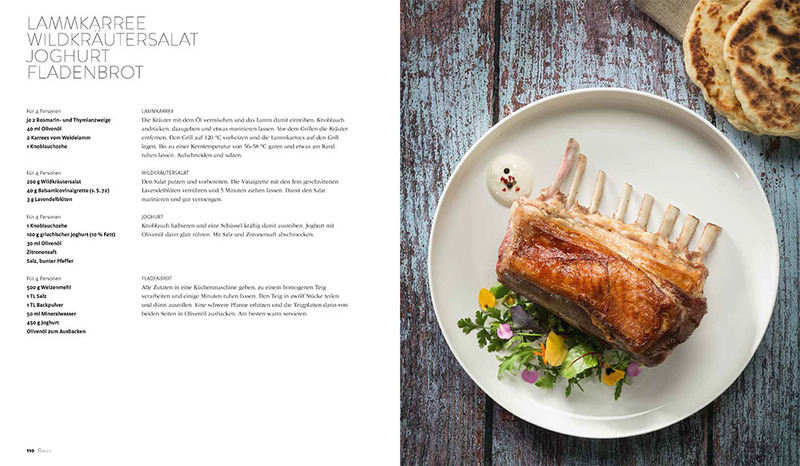 After having successfully concluded the work on eight cookbooks, two of which have received the prestigious Gourmand Award for best cookbook photography in Germany, I have the know-how and expertise to offer a clear and classy visual language which is perfectly tailored to the topic of your book and the desired target group. 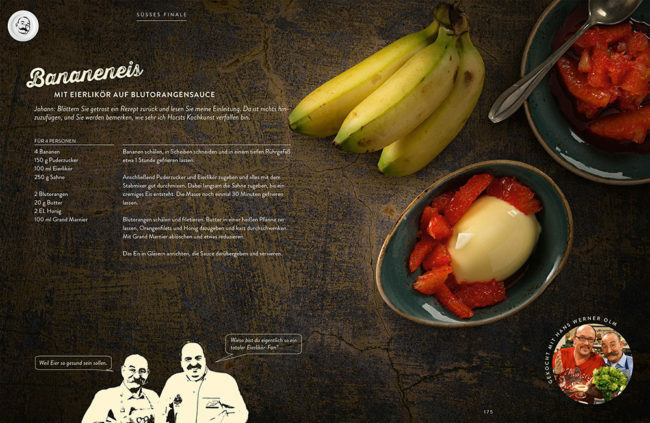 Special cookbooks do not only excel on the quality of their recipes and pictures but do also offer a convincing design concept that combines and balances all the different elements. It is this conceptual work that I am very good at and that playes a big role in the success of titles such as “Burger Unser”. While this type of close relationship within the development process illustrates one side of the spectrum, there are still many others conceivable forms of collaboration. 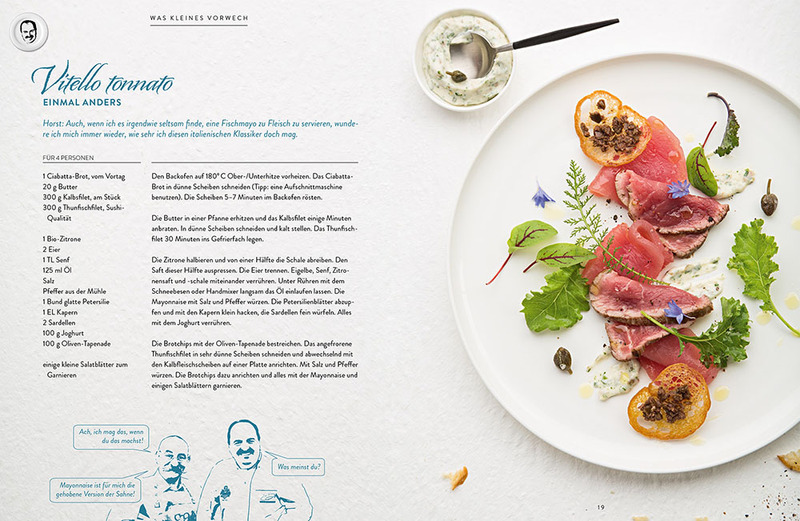 Take, for example, the cookbook “Original Griechisch”, which I released together with Hubertus Tzschirner on behalf of Greco, a dairy brand. In this project we presented all the company’s products in applied cooking. We only delivered the pictures and strictly stuck to the conceptual design put forward by the company. In any case, working with Hubertus Tzschirner is a very special kind of collaboration. “Sous Vide”, the first project we finished together, is now available in its 6th German edition and has been published in four different languages till date. Together we have won six GAD Gold Medals and Gourmand Awards as well as a place on the shortlist for the world’s best cookbook photography (Gourmand 2015) – a clear reward for our team work. We both share the passion for quality and design and we are hard-boiled perfectionists. As a cohesive unit we can successfully realize complex projects too. Depending on the needs of the client we can offer tailor-made solutions, from developing recipes and visual language to realizing the shooting in the studio and delivering ready-to-print data. Cookbook production can take place either in my own studio, at the client’s facilities or in the cook’s own kitchen. Apart from this established partnership I have also released cookbook projects with other chefs, some of whom did not have any prior experience with food photography. My year-long expertise helps me in preparing a chef for the peculiarities of food photography and gives me the opportunity to support less-experienced cooks with the visual presentation of their dishes. Whether projects from publishing houses or commissioned work for companies, shooting for cookbooks is the type of assignment I enjoy the most. Good cookbooks are masterpieces in their own right and rely just as much on the recipes as they do on the photography. The latter should always be true to topic and approach, requiring a conceptional preparatory work in which I will happily engage. A growing number of cookbooks, some of which have received several awards, are an objective characteristic of my successful work. Lafer! Lichter! Lecker! For the 10 year jubilee of the biggest cooking show on German TV this Callwey cookbook combines the 100 best recipes of the last 10 seasons, 50 recipes each from Johann Lafer and Horst Lichter. In a unique collection the two cooks present their best and favorite recipes. 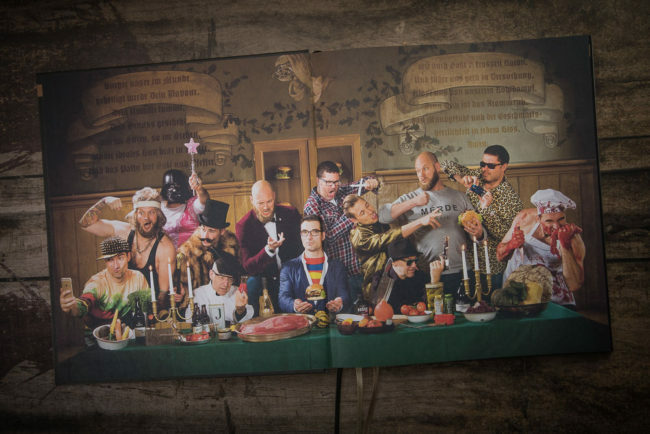 Learn more about the book. 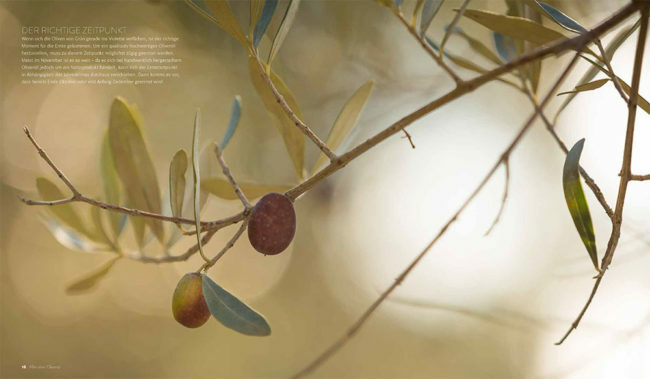 Olivenöl – Das Kochbuch From classic tapenade to extraordinary three-star dishes, 13 high-class cooks have poured all their efforts showcasing olive oil in this book. Each one of them have created two distinctive, highly inspiring courses. Learn more about the book. Sous Vide The debut work from Hubertus Tzschirner and Daniel Esswein has become a standard work for the sous vide topic. It is now available in its sixth German edition and in four languages. Learn more about the book. 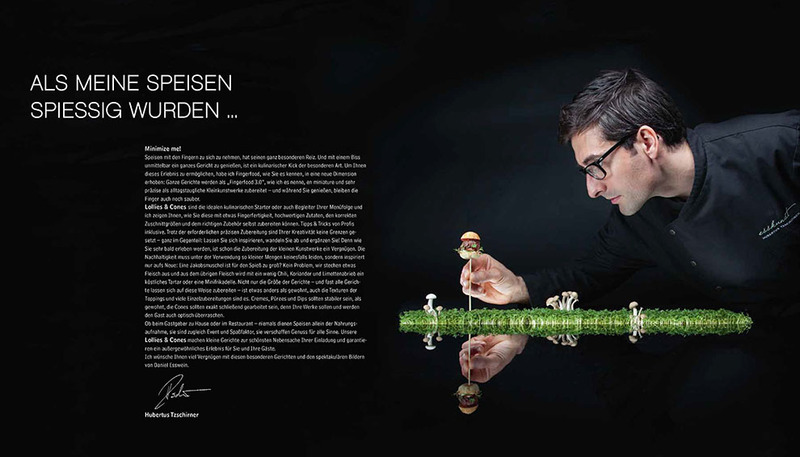 Fingerfood deluxe Winner of the GAD gold medal and the GOURMAND WORLD COOKBOOK AWARD 2013 for best cook book photography in Germany. A spectacular work that has set new benchmarks for minimalistic food photography. Learn more about the book. 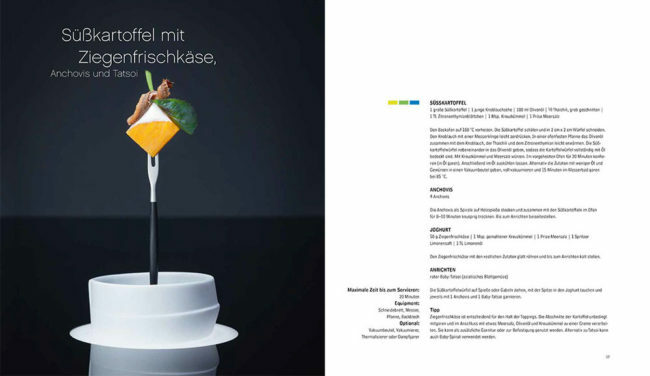 50 recipes that work All recipes have been scrutinized down to the bone by thousands of students of Frankfurt’s eminent cooking school. 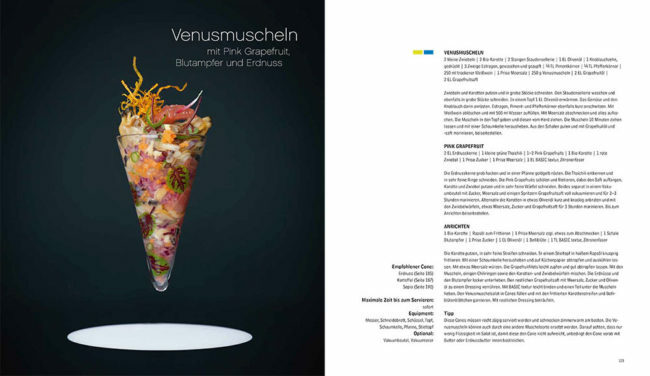 The book includes fantastic wine suggestions, thrilling menu ideas and extensive details on seasoning. Learn more about the book. Burgers are in everybody’s mouth – in the truest sense of the word. They enjoy rising attention from food connoisseurs, whose sense for quality and perfection is improving at the same time. 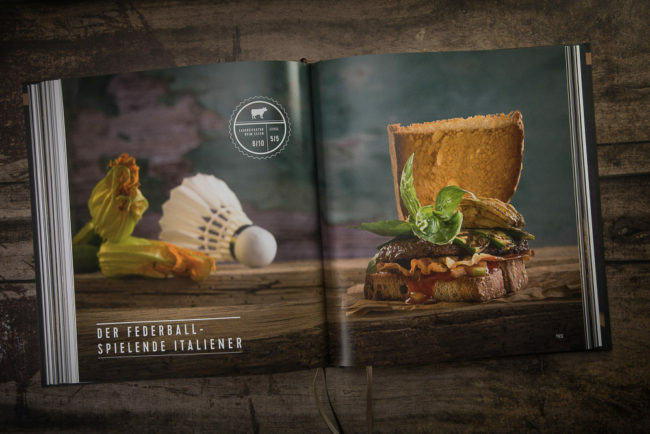 With its sensual burger knowledge, this book sets new benchmarks in its 288 pages! Learn more about the book. Roh! With concentrated knowledge and sensational dishes that are brilliantly staged, this book has shone a whole new light on the topic of crudités. Accordingly, it has won several awards. Learn more about the book. Greco, Original Griechisch This cookbook was commissioned by the Routhier company. „Greco, Original Griechisch“ was never intended for sale to the general public, but has been issued in the context of a customer loyalty program. Learn more about the book. It all began in the summer of 1995. I had just finished school, when my grandmother asked me to join her and fly to India, to visit her Guru. Even though I left the ashram days later, the love for the subcontinent has endured to this day. Numerous journeys later I decided to write this book. And so, after finishing university I travelled for 6 months visiting large parts of the country in 2008. Around two years and 300 pages later “India: The Elephant Dances! Pictures and stories of a diversity in transition”, shows the beauty of the subcontinent through pages and pages of wonderful photography bedded in a stunning layout while also transporting the fascination the country invokes: A nation of superlatives, where a unique diversity encounters rapid economic and societal change.